Simarpreet Ahluwalia is an Associate in the Orange County, California office of Jackson Lewis P.C. Her practice focuses on representing employers in workplace law matters, including preventive advice and counseling. While attending law school, Ms. Ahluwalia was a lead article editor for the UC Irvine Journal of International, Transnational, and Comparative Law Journal. She was a student leader for the pro bono project, Saturday Academy of Law for two years, and was a student teacher for the program for one year. Ms. Ahluwalia served as the President for the Entertainment and Sports Law Society from 2015 to 2016. She also participated in the Intellectual Property and Technology Clinic, assisting in Copyright matters. 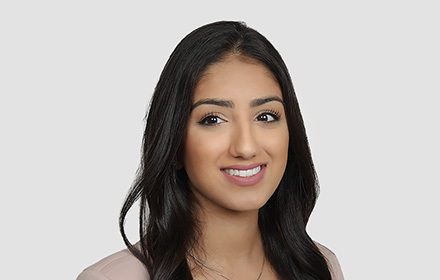 After her second year of law school, Ms. Ahluwalia worked as a summer law clerk in the Jackson Lewis Summer Clerk Program for the Orange County office, and was a recipient of the Jackson Lewis Scholarship for her 2016-2017 school year.